A former chairman of the Lagos Chamber of Commerce and Industry (Agric Sector), Mr Wale Oyekoya, believes the policies of the Federal Government has little or no effect on the average Nigerian. The agricultural expert and farmer said this during his appearance on Sunrise Daily on Thursday. 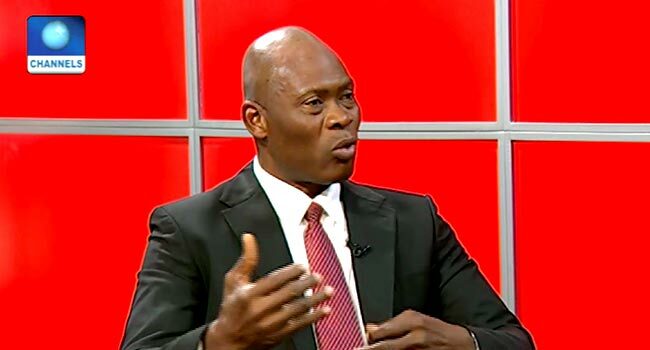 “All these policies are not really trickling down or showing on the stomach of average Nigerians,” he said on the Channels Television breakfast show. Mr Oyekoya stressed that while the government has come up with various laws to reform the nation’s agricultural sector, there is a need to focus more on the implementation stage. He cited the Commercial Agricultural Credit Scheme (CACS) initiated by the Goodluck Jonathan administration. The expert claimed that less than 15 per cent of farmers benefited from the disbursement of billions of naira by the previous government under the programme. He added that a part of the fund was benefitted by “political farmers” and more problems were surfacing as the present administration address the issue. Former LCCI Chairman (Agric Sector), Mr Wale Oyekoya, speaks in an interview on Sunrise Daily on August 23, 2018. The farmer said, “Definitely, there have been so many policies and the problem has always been the implementation of most of these policies. The agricultural expert also condemned a situation where the country still imports certain food, saying such is not good for its economy. According to him, Nigeria is blessed with fertile soil and good atmosphere while the assertion that the nation is self-sufficient in rice production is a lie. Mr Oyekoya accused some political leaders of supporting food importation because of greed and urged the government to come to the rescue of farmers in the country.